Balikh Medical Business Co., Ltd.
Solaris is an American company that specializes in pressure garments for the treatment of Lymphoedema in elderly patients and special needs patients. Caresia™ is a standard sized, foam particle liner, designed by professionals to help simplify your multi layered bandaging protocols and enhance therapeutic outcomes during the active phase of the treatment. Its unique foam particles break up tissue fibrosis and direct fluid where it needs to go. 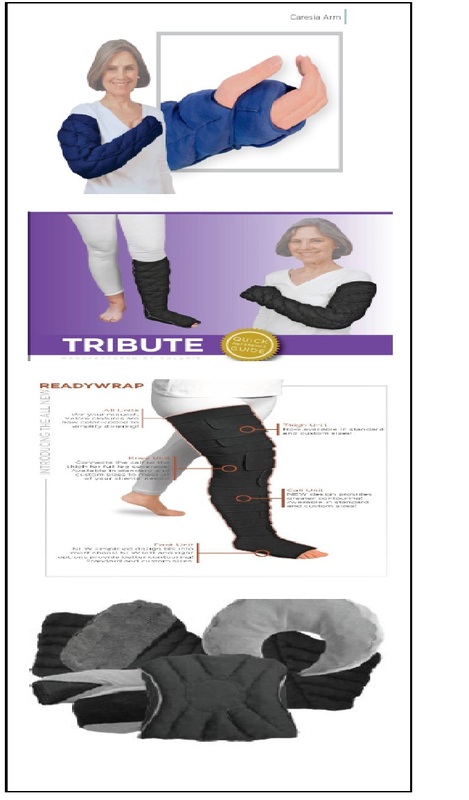 Tribute™ custom lymphedema garments are a fundamental part of a successful lymphedema management program. Tribute™ provides unparalleled custom support while the patient sleeps by maintaining gains made in therapy, decreasing treatment time, increasing compliance, treating indurated tissue, allowing for normal sleeping posture, stimulating initial lymphatics, protecting limbs, and supporting lax tissue. ReadyWrap™ low-elastic medical binders are the perfect alternative or supplement to elastic compression hosiery. The low-stretch materials work with the venous and lymphatic systems to naturally improve fluid movement, enhancing the calf's natural muscle pump and producing low resting and high working pressures. ReadyWrap™'s easy Velcro™ closure system also allows for easy donning and doffing, especially for individuals who have difficulty donning elastic compression garments. Swell Spot™ is professionally designed to help address particularly troublesome areas of edema, whether it's filling concavities, contouring over and around prominences, or just padding bony areas. Sometimes a lymphedema patient just wants something small to address specific areas and problems – that’s where Solaris’™, mini lymphedema pads, come in. The high quality and latex-free pads, address tiny territories, cover gaps, and contour around any problematic prominences. - Starting from January 2nd, 2013 the Ready Wrap Arm and Gauntlet will be available. copy right © 2013 Balikh Medical Business Co., Ltd.